We had some nourishing porridge for dinner last night at Sin Geylang. The shop on Macalister Road (opposite Red Rock Hotel) specializes in claypot porridge, serve with dishes for lunch and dinner. The texture of the porridge was smooth, quite thick and topped with chopped spring onions with a dash of oil. We ordered a number of dishes to go along with the porridge. The interesting dish that we had was a plate of steam frog (tin gai). It was steamed to tenderness with kei chee (Chinese wolfberries), ginger and chili padi. A spoonful of the gravy with all the subtle taste of the ingredients goes very well with the porridge. All of us loved the gravy. A dish that most of us liked was the Fried Egg with Chai Por (preserved radish) @RM5. The Chai Por was fried till fragrant and its salty and sour taste combined well with the egg. We had a fried Black Promphet @RM24. The deep fried crispy fish was drizzle with soy sauce with a hint of ginger…indeed a delicious flavor for the plain porridge. In Penang there are quite a number of places that serves porridge and this is one of the places where we do enjoyed the porridge and home styled dishes the way we would do at home. You can also order rice to go with the dishes besides the porridge. We paid RM56 for the meal with glasses of Loh Hon Koh drinks @RM1.50 each. Click here for the Map Location. **Updated August 2010** – This eatery has since shifted to 22 Krian Road, on the same side as 8-row. 37 Responses to "Penang Food – Sin Geylang Claypot Frog Porridge"
oh this reminds me of the Gelyang Frog Porridge in Singapore….. I am game for it! love the fried eggs with chai poh-my fave! had Teow porridge last Sunday. Needless to say, the claypot frog porridge at Lorong 9 in Geylang S’pore is one of my must-visit places when I am in Lion City. I’d say the one we have in Penang is equally good as the Lorong 9 star. Can’t say the same for the frog porridge at Chinatown SG though. They do not serve the porridge in claypots and their porridge is not as thick. Tried it one time, wouldn’t go back ever. The steamed frog with chili and ginger is our favourite and the kung po frog too! The gravy goes so well with the pain porridge. hahahaha,.. i just went to another claypot frog porridge too… but that’s not on the island but mainland instead. nice claypot porridge, i love this typw of teow chew porridge with chai por, superb!!!! Yup BBOven is right, just like Geylang Frog Porridge. Must be some association they had with geylang. Love that chai por omelette, I always love this and actually had porridge tonight and ordered chai por omelette but they dont serve. At least I gotta see the pic tonight. Big Boys Oven – I knew that…saw your review. foodbin – Can’t get enough of it too. xin – It’s better trying not to think about it. Eleen – I did a review on the Dato Kramat too…their kung poh frog leg is good. allie – I will go for the kung po frog on next visit. SimpleGirl – Glad you like it too. Cheryl – Do try it out when you feel like having something light. jencooks – Haha…proves that the chai por omelette is a sellable item. My 1st visit to the macalister Rd. frog porridge is terrible BAD experience. The froggie meat is so chewable till i can’t even eat/swallow the whole piece. Yet, it is so expensive and small portion. Once i experienced the newly opened Dato Keramat Road (next to Patchee Bakery) Ah Nam claypot Frog porridge, I love IT!. Normally i will order one porridge with frog inside, then one non spicy kung po frog plate, and one spicy UNAGI kung po plate and i will enjoy eating it till dream of the taste. Yummie. Try the chilli padi…they mix it very well with the porridge. Smooth, Fragrance, nice porridge with Super hot chilli padi. I would recommend the one called Ah Nam or New Recipe located in Dato Keramat, at the shop houses next to the Esso petrol station. I guess Sharon Chuah meant this too. This shop have a few branches. One at Sg Petani, one near Farlim Sunshine and the head quarter in BM. The style very similar to those Kung Bou bull frog porridge in Geylang G7 or Lorong 9, and indeed it tastes delicious with reasonable price. Worth a try! All the dishes goes well with the porridge. Is the porridge the sticky type? The chai poh fried egg is my favorite with porridge. Wld love to try this ‘tim kai’ with porridge. Even their name is using Geylang, maybe they have some sort of relationship with the Geylang porridge in Singapore! LOL But I do miss the frog porridge. I had it once and I love it ever since. I went to Dato Kramat one too (another brand though:)). Just to drop you a quick note to say thanks for taking me out, not once, but twice, when I was on my recent work trip to Penang. It made a great difference seeing a friendly face when I am away from home. However the frog seems oversteamed tho. err frog?? I’ll give that a pass. The porridge looks thick and smooth though. A nice steaming pot of it during rainy weather will be perfect!!! 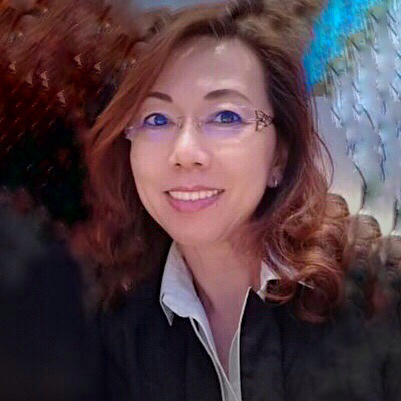 Sharon Chuah – Thanks for sharing your experience with me. Bella – I have also did a post for New Recipe on Dato Kramat Road. Little Inbox – Slightly sticky type. Sweet Jasmine – They are closed on Wednesday. iamthewitch – Not too sure about their relationship. Elin – In the meantime, maybe you can do it yourself too. cariso – Lucky we have so many places to choose from. Food Paradise – It’s like another chu char place but they have porridge too. Life for Beginners – You are most welcome…hope to catch up with you again. Jian – Their porridge usually goes with dishes. buzzingbee – There are many more other dishes to try out. woah….frog porridge, it had been years since i last ate it~~kinda forgotten what was its taste ! Sin Geylang is closed from Dec 1 when I visited. One of the workers mentioned that it is shofted to Haig Raod (if I understand him correctly). Hi CK, Would appreciate if you could let us have the new address of Sin Geylang as I miss their food very much! Just contacted the owner of Sin Geylang, they have moved to Krian Road, same row as 8-row, opposite of Yellow Light Thai Food. The new address was provided by my reader. It has since moved to Krian Road, same row as 8-row. Thanks for sharing the new location.